Most hearing aids have batteries that contain mercury and cannot be thrown out. You can store these batteries in a small container and recycle them when the container is partially filled. Find out how to recycle these batteries. Lions Club, the world’s largest service organization, has a program to collect hearing aids. Find out more. Starkey Hearing Foundation fits over 100,000 aids annually to children and adults through their global missions. Mail in your hearing aid, and they will provide you with a donation receipt. Find out more. Hearing Charities of America is an organization that offers hearing health services for those in need. They will happily accept donations and give them to someone in need. Find out more. 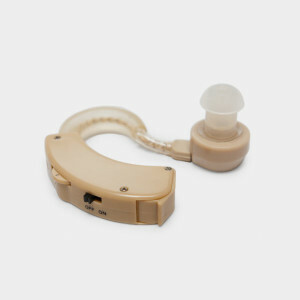 Hearing aids that are produced annually only reach 10 percent of those in need of them. The World Health Organization estimates that 360 million people have hearing loss. This means about 324 million people who need hearing aids either don’t have one, or most likely received one through donations.